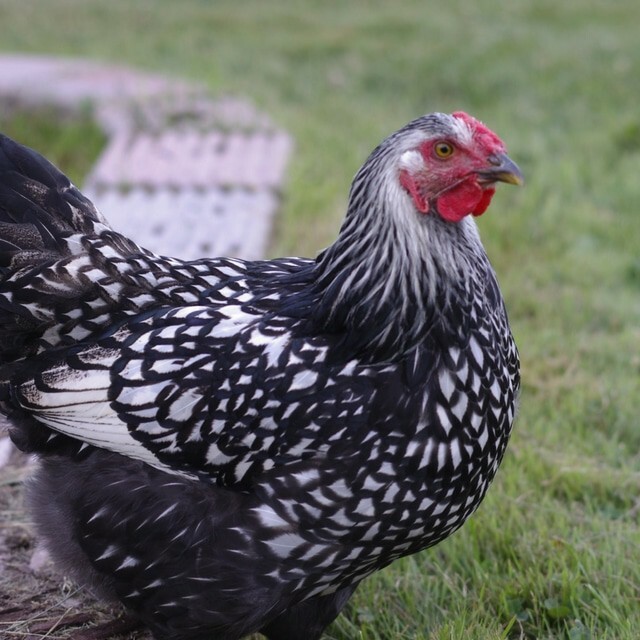 In this article, you will learn frugal ways to keep your chickens warm for less this winter. We live in upstate New York and experience frigid temperatures and our chickens are staying warm. This came with trial and error. When it comes to frugal living you want the best way to do something for the least amount of money right? This winter here in upstate New York has been frigid. With temperatures below freezing and highs in the -2. It’s been brutal so I have gathered up our best tips of how we are keeping our chickens warm this winter and how you can too. This is our second winter out here on our little farm, but we have lived in cold harsh winters all our life. We don’t use a heat lamp with our chickens. 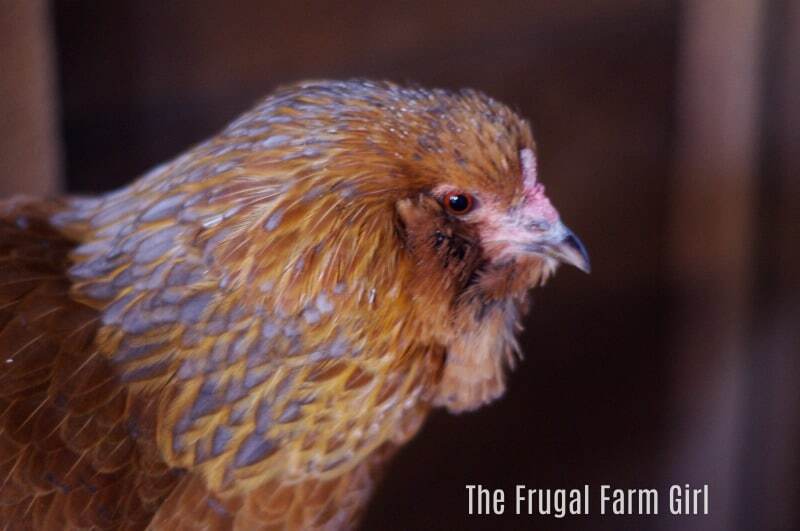 I read many things about the realization you don’t really need one, but a few of our chickens did get frostbite a few days ago when the temperatures dipped into the single digits and negatives overnight. I quickly realized some mistakes that were made. There were a few things we did wrong and I want to share with you how we fixed it and it’s working for us now. 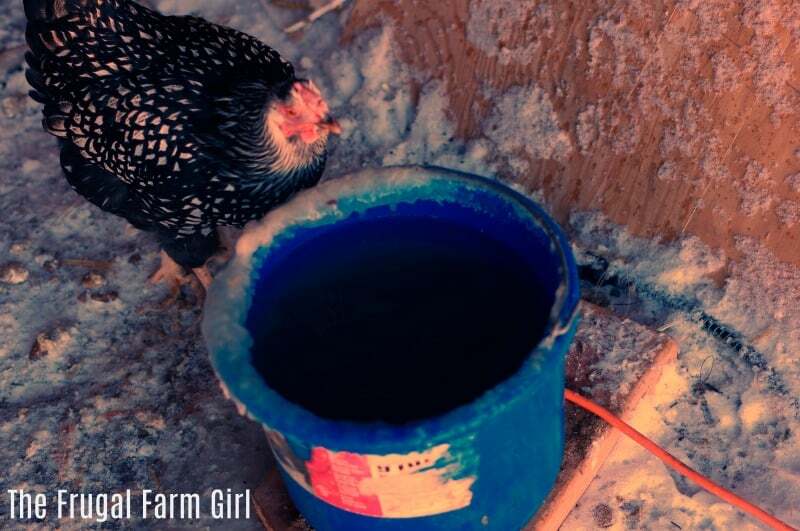 What tips do you have for keeping your chickens warm in the winter? It was just after 6 am when I went out to the barn to let the chickens out. I knew they would need water a path shoveled to come out to the heated bucket of water. 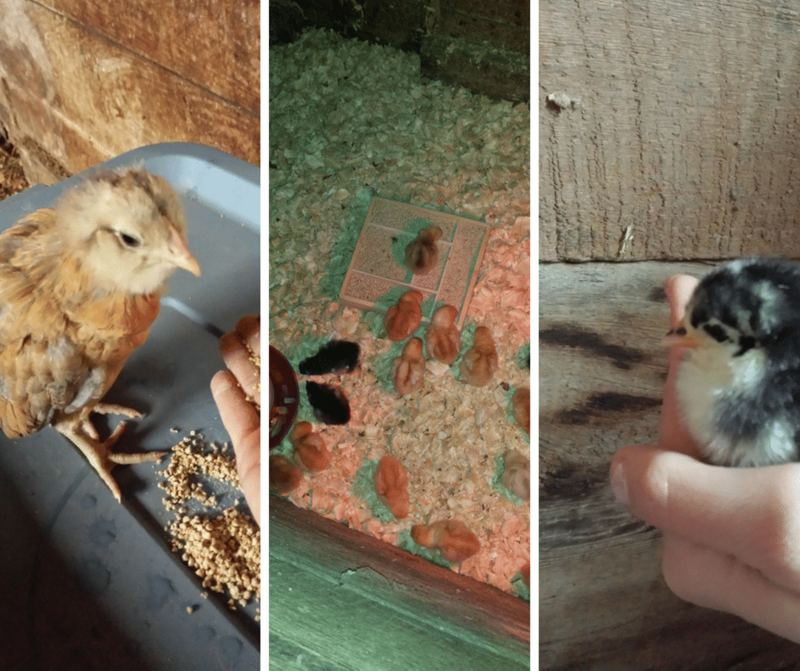 This year our winter has been the coldest since we started raising chickens 5 years ago. For the past couple of days, the chickens haven’t left the barn- not even for water. So I have been making several trips to the barn to fill up some water bowls. That was getting old. The ducks weren’t even coming down for water the wind was just too brutal. Then I saw a chicken with blood and her feathers pulled back and I immediately thought she got attacked. I looked around the barn but nothing. Then I looked closer and realized she had frostbite. 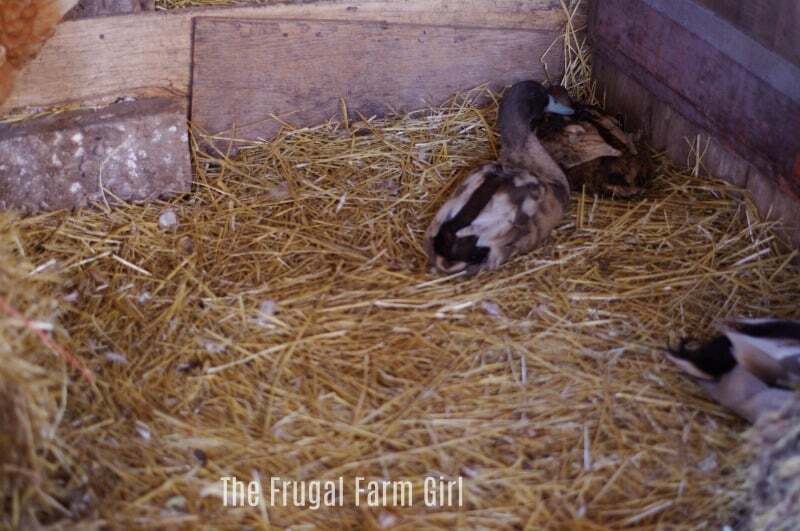 Tip: When our chickens got frostbite I would put them in a small dog crate with a bunch of straw and bring in the garage. I kept them hydrated and fed away from the flock until they warmed up. In the past when a chicken is sick or has an injury we keep in a dog crate in the barn with the others, but given the temperature, I decided the garage would be a bit warmer. You also don’t want to just bring them in a heated area either as a drastic warm up like that isn’t good for the affected area. The other chickens were probably pecking at her blood which made the whole scene worse. I walked around the barn and saw a few other chickens had black spots on their combs. Our biggest mistake was NOT having every hole in the coop filled. Overnight temperatures are the lowest they have been with this flock. Most frostbite occurs during the night. 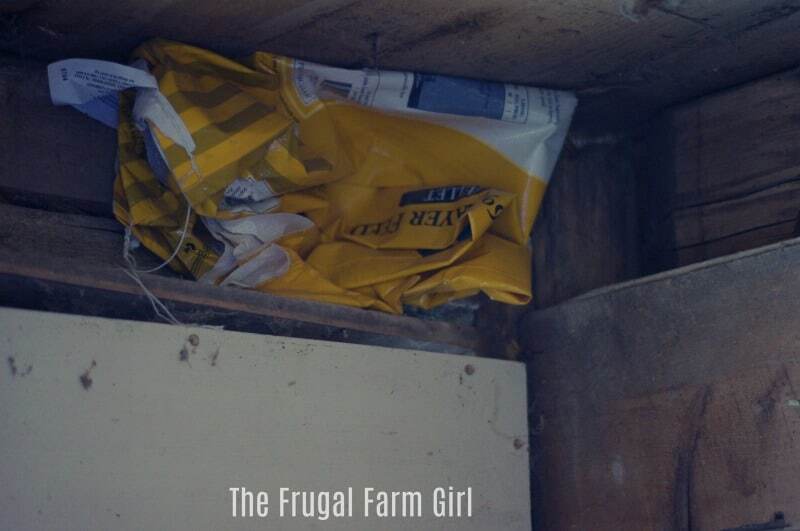 We save all our chicken food bags and have them sitting in a corner in the barn. It is amazing how thick these are. I used these bags and shoved them into holes and stapled them to the walls where any holes were. The cost to do this- Nothing. I’m not sure why I thought just covering their window last year was good enough- although the last year 2017 our winter was not as harsh. We actually have two chicken coops. Before we moved out to the country I had my six chickens in the town living across the street from Walmart! It was an adventure. 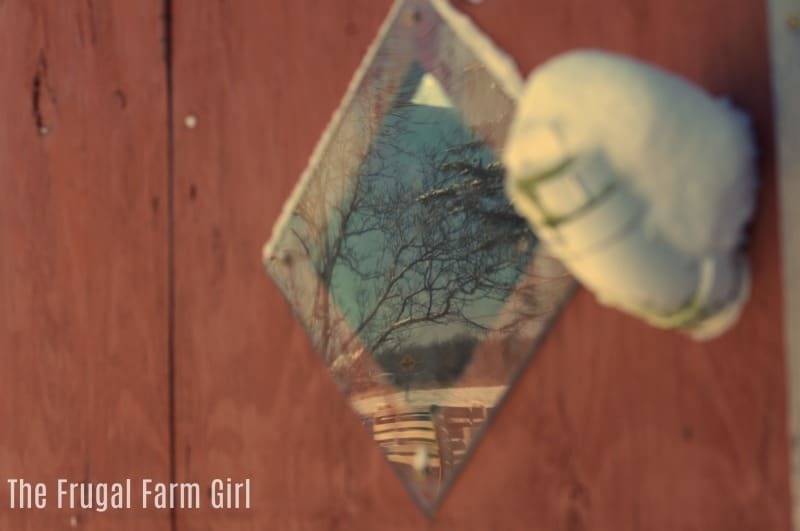 My husband built that chicken coop and used Plexi Glass on the side. This allows light into the coop but then we don’t have to worry about insulating this in the winter. I saw this idea floating around on Pinterest. We found a heated water bucket on the side of the road that surprisingly still works. Last year I would shovel a path from the barn down to the bucket and it worked fine. This year it’s not happening. Too much snow and wind. So the water bucket is at the edge of the barn- but there is still snow up to it. That means some of our chickens are refusing to go to it. We tried an old water bottle filled with a half salt water and half water. We made sure that the lid was tight and nothing was leaking from it. An excessive amount of salt can kill chickens. Then we filled our waterer up and it worked! Yet for the past week when the temperatures have been in the negatives the salt water wasn’t working. The water bucket continues to have ice around the rim. It’s just too darn cold. This is a free way to keep your chickens hydrated. Once the temperatures rise again I will continue using the water bottle method. 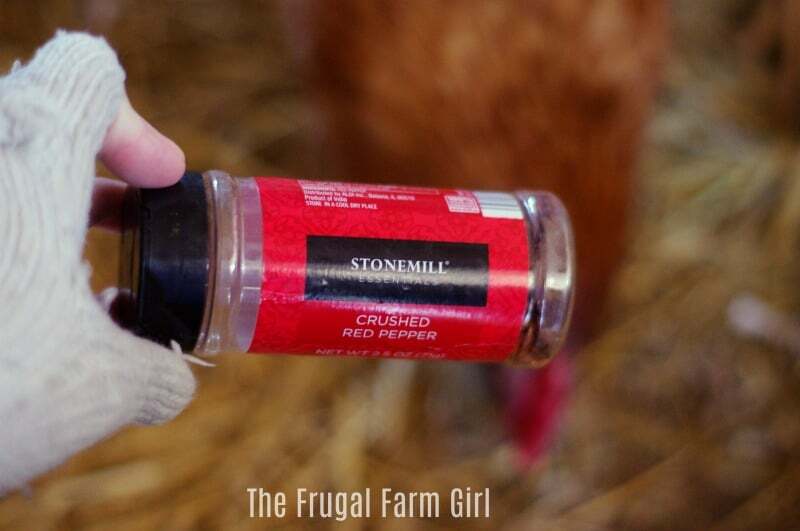 I have been feeding our chickens Red Pepper flakes I bought from Aldi for under $2! Supposedly this will warm your chickens up. There are a bunch of different spices you can use to create a healthy flock. I have been doing it the last couple days and if anything it gets them up and moving to increase their blood flow so it’s a win for me. There are many articles about cayenne pepper increasing egg production and even saying it thickens the shell of their eggs. Our chickens are pasture raised. They only go in the barn at night. In winter they have their own coop inside the huge old barn. So for the most part on extreme weather days, they hang out in the barn. 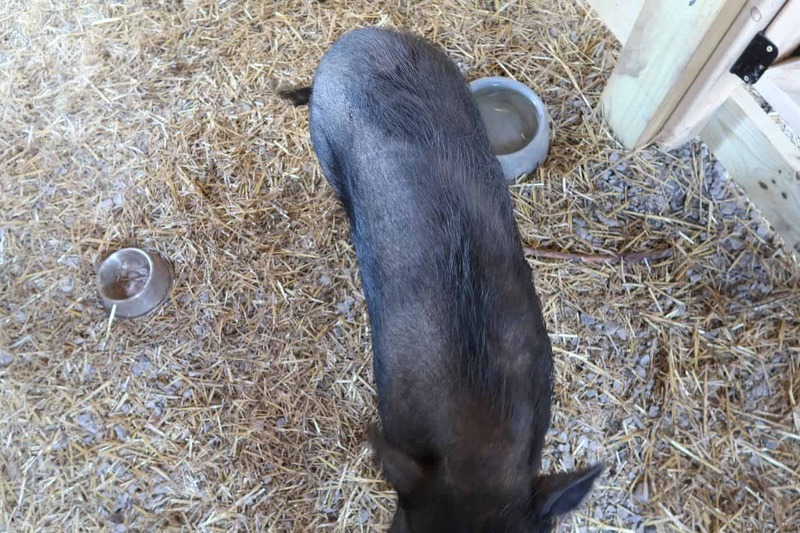 I give them any extra veggie scraps that are not going to our indoor pot-bellied pig. The ends of bread seem to be their favorite. I throw the ends in the toaster then toss in a blender and feed to the chickens. In conclusion, those five tips are the most beneficial. Keep your flock free from drafts, hydrated and fed should keep them up and alive through the winter months. Always make sure they have a full feeder before they sleep as this keeps them warmer through the night. We also keep thick layers of straw in the coop and around the barn where they hang out during the day. When the weather warms up we shovel a path from the barn down to the grass. This gives them a bit of an area to forage. These tips can be applied to ducks as well. Our ducks share the same coop as our chickens and follow the same tips as mentioned above. Meet our Family & Follow our Vlog below. Hi Dana! What a blessing that your husband built a beauty! Yes def. can’t cover those. I’m hoping we get a break and see some warmer temperatures here soon. We have a plastic tarp covering the one corner of our chicken coop. We free range our chickens and have a couple different coops. Our new coop is doing great it’s the old barn that gets tricky! Using an old tarp to screen the wind and insulating the coop with straw and cardboard has worked really well for 2 years in my coop and cost me nothing! Love the tip about chilli pepper in the food! I insulate the inside of the coop with cardboard & then remove it in the spring. I also use the feed bags to cover portholes that allow fresh air in the summer but cover all but two to allow some circulation in the winter. I also use lots of straw on the dirt floor. To discourage predators who may find ways to get in, I use a red bulb ( saw this in an article on discouraging raccoons & coyotes). Works great & gives of some heat ( I avoid the straw in the area of the hanging lamp.). My grandmother added red chile powder in the water & her chickens laid eggs all winter long, & it seems to work. Hi Beverly! I love the tip about the cardboard! Thanks for sharing all your wonderful tips and tricks that have worked for you as well. I am in Upstate NY as well. This will be my first winter with my girls. I am so nervous. I want to do everything right! Thank you for the tips! Looking forward to seeing more from you! Thank you! Thank you for this article. I’m in Western NY and this will be my first winter with chickens. We have a great coop so I’m hoping they’ll be ok. I love the cardboard idea. I’ll try that on the wall that gets hit first with wind and snow. I also like the red pepper flake idea. Awesome! Yes if the coop is sealed well you should be good. They probably won’t go out in deep snow so we always shovel a path down out of the coop as well. i live in New York…..and its gets super cold.i put fresh garlic cloves and a little ACV into the drinking water with a pinch of sea salt. In their food i add Turmeric powder and Cayenne pepper and some Olive or coconut oil. Also give them fruit and vegetables chopped up…from the market …that have been reduced on sale. Around their run area …i use the old plastic feed bags…for the wind. 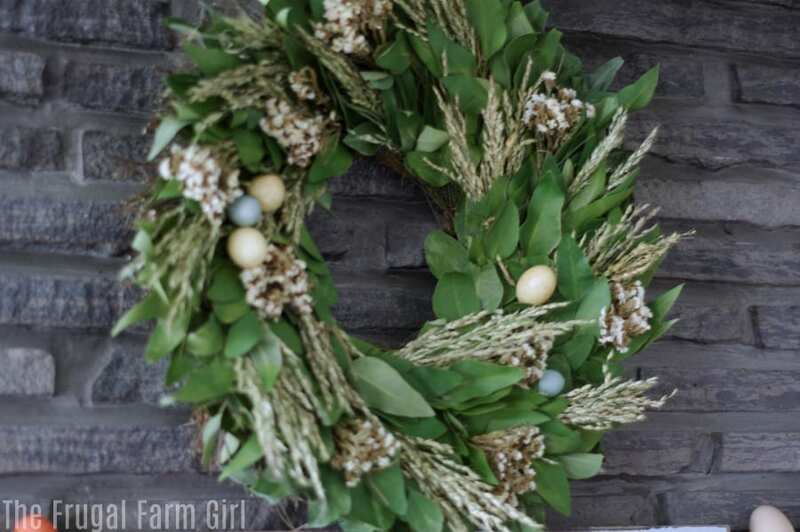 Inside the coop…i put a lot of hay…..don’t clean their droppings…it actually keeps the coop warm during winter….so i am told. Hello Naznine! Thank you so much for sharing. Yes we don’t clean the coop out as often in the winter either. I wouldn’t clean it at all during winter if the bottom was dirt but ours is up in the upper part of the barn. I love your tips! Hi Darlene! Thank you for sharing those tips. They are great. I love the flannel table cloth idea! I live in Upper Michigan. We’ve raised chickens for 4 years now and I grew up with them. It gets COLD here. This year we had over a month where the temperature didn’t get out of the negatives during the day. The cold doesn’t usually last quite that long but, winter lasts six months on average with at least three feet of snow on the ground. The ONLY thing we do to keep the chickens warm is make sure we own cold tolerant chickens. We’ve never had any frost bite and they go outside all winter long! Thankyou for all your ideas we live in Wales and our winters haven’t been to bad our hen house is really old used to be pig eggs from the 1930s or before but like you my hubby uses the feed bags to insulate the walls we to use slot of straw and hay never thought of cardboard though and thanks for the red Chile flake idea as well I know we live in different countries but the ideas are mainly the same and it’s good to share we’ve just had some ex battery hens coming out of a shed of about16000 hens to our small henhouse must of been strange but they love being outside and coming in our kitchen and they are so friendly you can’t help but love them on and what I wanted to ask was are you mad like me in naming your hens mine have old names like Ethel and Winifred and Aggie and just to say I love following you on Pinterest look forward to more of your ideas and stories. Hi Anne! 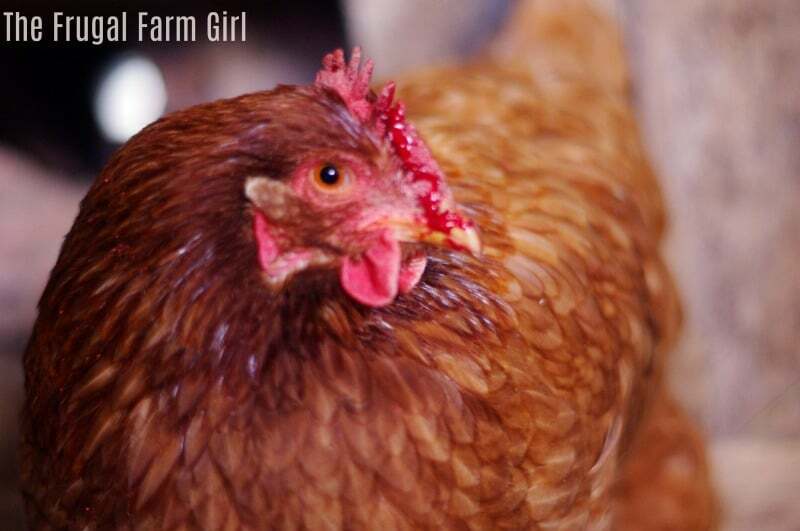 Thank you so much for sharing a little bit about your family and chickens! We have our favorites named! I love old names. Ours is a little different, Zippy, Minty, Camilia, Noodle, Smokey, and so on and so forth! I am so glad you are following me on Pinterest. We are bringing home more chicks this weekend and I can’t wait!